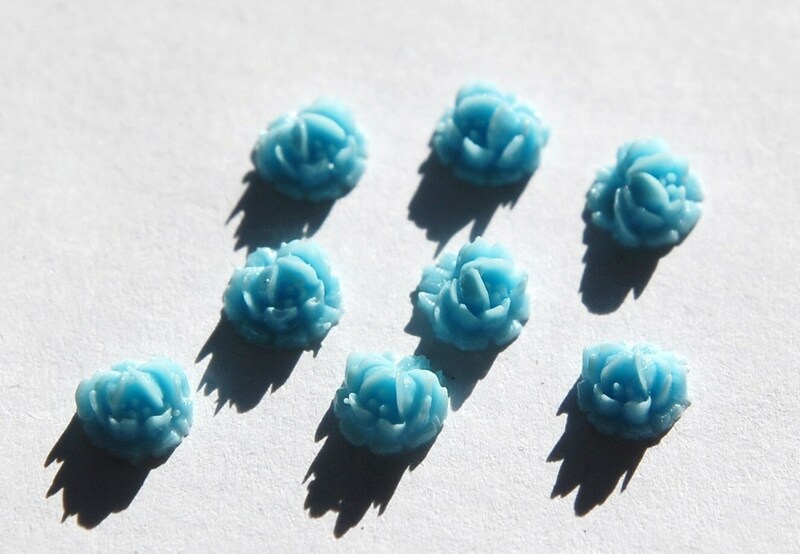 These are sweet vintage style 3D flower cabochons. They are done in a light blue. These measure 6.5mm. You will receive 8 cabs. Thank you so much darling! xoxoxo!